It’s springtime and you’re ready to reap the rewards of your hard work in the garden. You diligently planted, weeded, and nurtured your garden. You also kept the pests at bay with regular spraying of insecticides. But now there’s a new threat to your garden: pest birds. They’re starting to come in and destroy your flowers, eat your tomatoes, and peck at the fruits ripening in your fruit trees. You tried squirting these annoying birds with your water hose. But they just came back the next morning. Even your dog was no help, for the birds simply waited till your dog was in the house to feast on the vegetables and fruits in your trees. Easy to use and highly effective, Plastic Bird Netting keeps pest birds from getting at the vegetable plants in your garden. This barrier deterrent is ideal for smaller gardens and small fruit trees. Wrap your plants with the netting or simply cover entire sections of your garden with the netting using poles. To protect fruit trees, measure the circumference of the tree and cut the net to size (allow at least one foot extra around the circumference). Secure the netting with twine, zip ties, or hog rings. 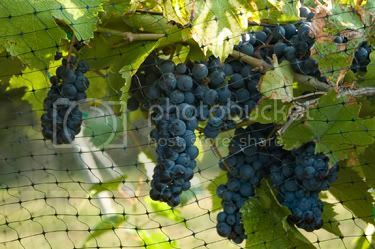 Look for high quality plastic bird netting made of durable, U.V.-protected polypropylene. It's strong, light, easy to handle and virtually invisible. If you have a large garden, or a number of fruit trees spread out over, say, an acre, you’ll want to invest in a Sonic Bird Deterrent. These devices emit bird distress and predator calls that convince pest birds that their natural enemy is hunting them in the area. The sounds resemble normal bird sounds, so they won’t irritate your pets, friends or neighbors. If more than one species of bird is attacking your garden, there’s one sonic system that emits distress and predator calls for 22 different species of birds. This unit covers up to an acre of land and can be programmed to turn on or off at night. An economical way to go, Visual Bird Deterrents can be most effective in deterring pest birds from your garden, especially when used together with other bird deterrents. They include Flash Tape and Reflective Banners, which reflect sunlight and rattle in the breeze. There’s also Scare Eye Diverters and Bird Scare Balloons. These bob and weave in the breeze and have huge large predator eyes to frighten birds away. You can attach a number of these deterrents in high visibility areas throughout your garden to spook pest birds.